What A canvas painting depicting a legendary scene from “Pulp Fiction,” hanging in the Fenway restaurant’s dining room. Whose Idea Most people think Tasty Burger’s name originated from a memorable scene in Quentin Tarantino’s 1994 film, when Samuel L. Jackson murmurs, “Mmm! That’s a tasty burger!” (Tasty owner David DuBois does an uncanny imitation.) Truth is, the name honors legendary, long-gone Harvard Square institution the Tasty diner, near where DuBois grew up. Just the same, each Tasty branch has “Pulp” paintings on the walls to keep the myth alive, done by local artist Scott Chasse. “People love them. The film is so iconic; it’s such Americana. It has so much burger iconography,” DuBois says. 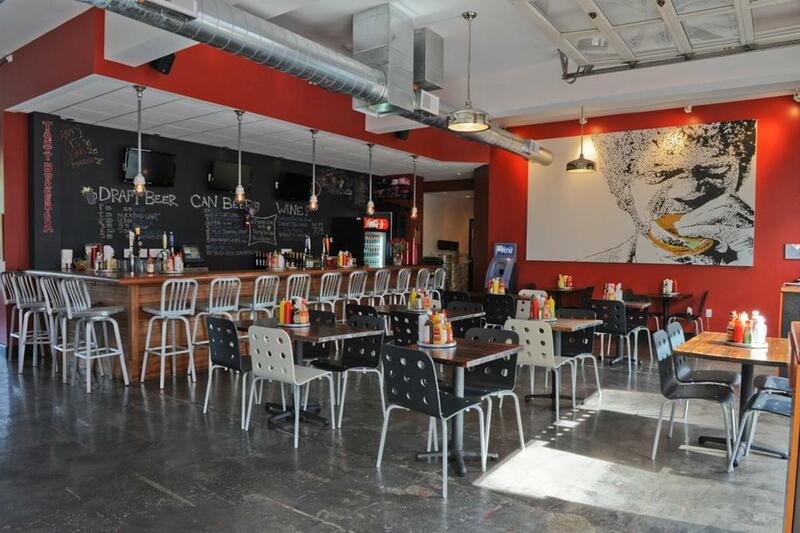 At the Fenway branch, you’ll see Jackson biting into a juicy (and hopefully tasty) burger. Look for depictions of stars John Travolta and Uma Thurman at other Tasty locations.